This entry was posted on Tuesday, March 20th, 2012 at 07:15 and is filed under Barack Obama, Congress, Defense, Economics, Featured, GOP Establishment, News, Politics, Video. He has never been incompetetent, but living his agenda and vision of his upbringing and of those behind him. This man is most dangerous for all Americans and our lives, our lifestyles as we remember. I hope our future is not “I remember”. Thanks for verbalizing what I thought obvious. When I read the article on ‘Peacetime Martial Law’ (http://www.teapartytribune.com/2012/03/17/obama-executive-order-peacetime-martial-law/) Sunday morning in the Tea Party Tribune, cold chills went down my spine. Pieces to the Progressive takeover puzzle had been surfacing through various sources over three years. At first, disjointed and seemingly unique to themselves, occurrences and prior situations gave reason for question, yet when aligned in a logical format it seemed to be the stuff of spy novels and B-movies. Anyone who publicly described the amalgamating picture was quickly dismissed as a conspiracy theorist. Of course, WND’s and others’ pursuit of the long form birth certificate (a primary piece to the puzzle) was continually decried as ‘grasping at straws’ with proponents labeled, ‘Birthers.’ Yet, as we now know due to Sheriff Arpaio’s investigation, the document provided by the White House is an electronically constructed fake. That fact should clearly indict multiple persons in the Democratic Party whose task was to verify Obama’s qualification for the Presidency, as well as those connected to the President who surreptitiously ordered, designed, constructed, and distributed the falsified government document. But, as usual we hear only the sound of deafening silence from both the media and, more importantly, our representatives in Congress. Former President Nixon was impeached on less evidence than I’ve just mentioned. And Clinton…? The very last thing I envisioned for the 21st century was a bloody civil war in my twilight years. An honored salute to you for having the courage to call a spade (and NO, that’s NOT racist you Progressive slimeballs). Many intangibles will come into play as we spring into Summer and civil unrest darkens the country. Many who’ve sworn the oath may perish as they reluctantly reach out to others only to find Americans whose core values have morphed. As for me, I’ll stand with Patrick Henry and have faith in God, but a tear in my eye for those who won’t see until it’s too late. What was it that Patrick Henry said? “Why stand we here idle? What is it that gentlemen wish? What would they have? Is life so dear, or peace so sweet, as to be purchased at the price of chains and slavery? Forbid it, Almighty God! I know not what course others may take; but as for me, give me liberty or give me death!” As a freedom-loving American, what more can you say? I only wish that more Americans could see what was REALLY going on. I fear we are about to lose our country and our way of life forever. That Exec Order was signed on Friday (the usual strategy for this administration) and it was not anywhere in the MSM all weekend. This Marxist agenda is 100% aided and abetted by the media. 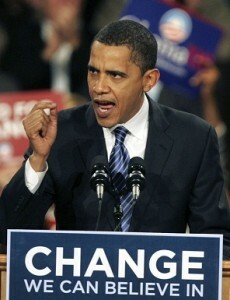 He needs to be gone in Nov 2012. There’s talk and insinuation of quartering his forces in our repossessed homes. His forces…his electorate. Seems like I remember some document from olden days listing that as maybe a grievance of the prevailing powers of that time. Meant to say grievance toward the prevailing powers of that time.